This past weekend I went to Dickinson to see Big M’s Mom as well as my Mom. In this area there aren’t that many auctions in the winter because of the weather. When I saw an auction going on that day, my Mom and I decided to go to the auction and visit there. Perfect….I could spend time with my Mom and maybe get an item or two. 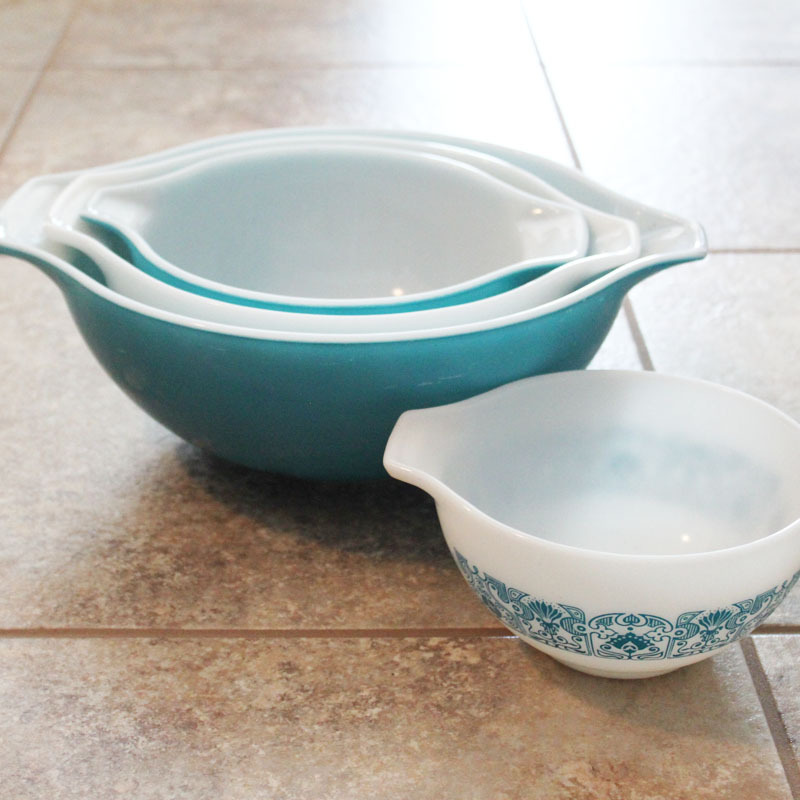 I was thrilled to get this complete set of Pyrex Cinderella bowls in the Horizons pattern. It isn’t a pattern I see often. I like old wood items. 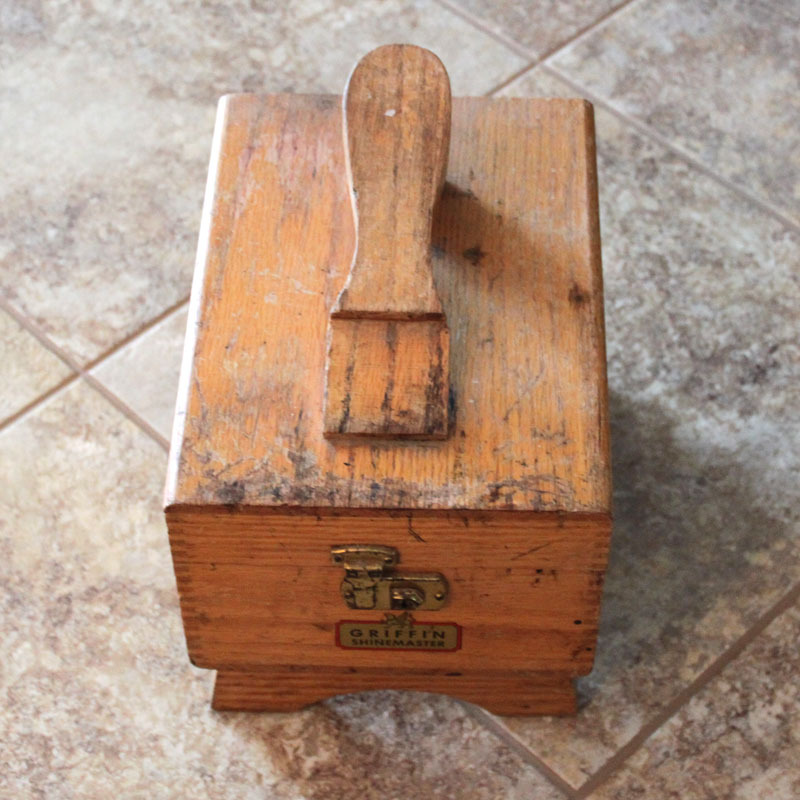 This shoe shine box has such character. 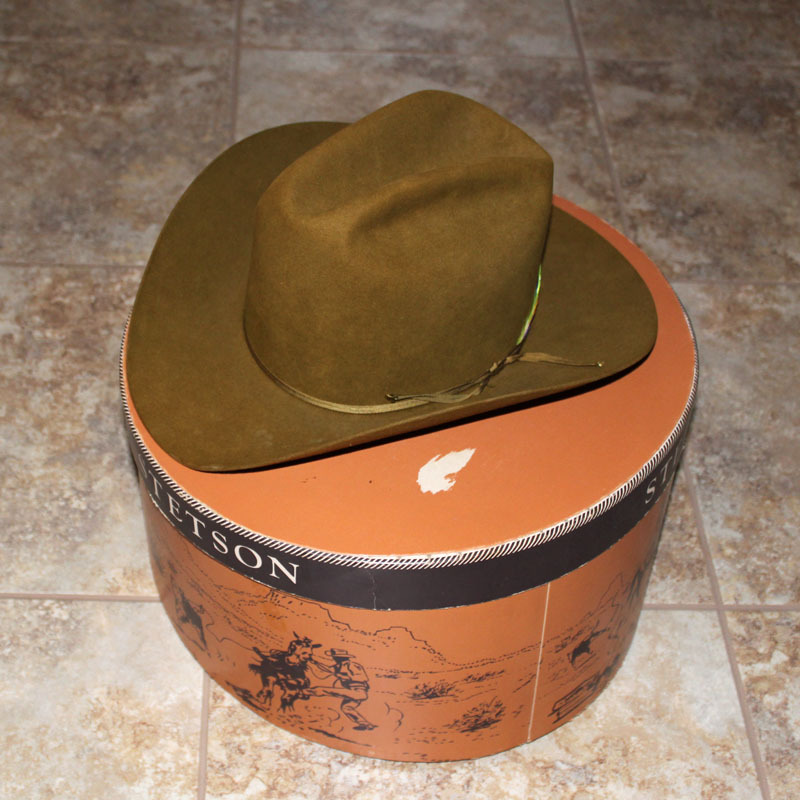 I picked up this olive colored Resistol cowboy hat with Stetson hatbox. I love Stetson hats. They are well made. Not sure about the color, but I guess my son liked it. Z came home from high school swim practice and tried it on. Guess swim practice was really hard. Now I just need to find time to get photos taken and items listed in my shop. I LOVE my bowls like that! I didn’t know they were called Cinderella bowls. Now I like them even more. They are a special treasure to me because your mom gave them to me. I use them daily especially because I love to bake so much! Horizon is not common around here. I see the friendship one a little more often. Really like it during Valentine’s season because it is red. Unfortunately most of the pyrex at thrift stores is dishwasher faded so good pyrex is hard to find. But fun when it does appear. Haha. Too funny Z! 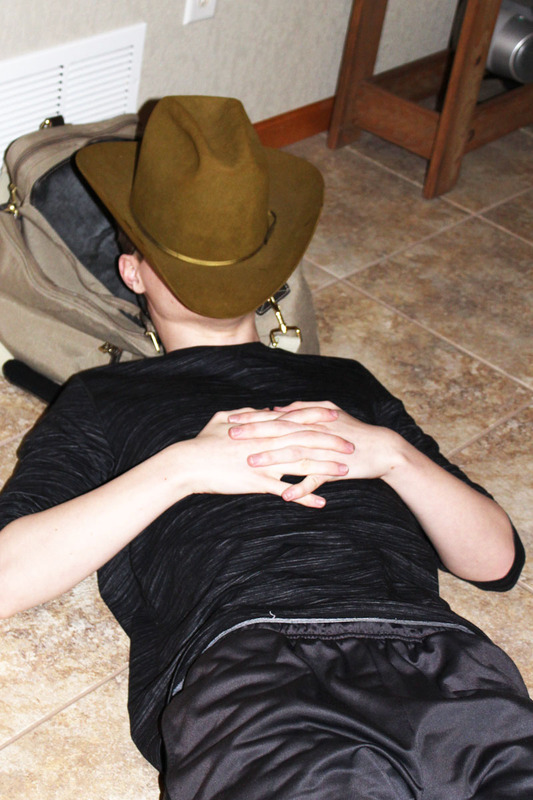 See naps are good (now that the boys are older and wiser!). Yep, Z takes lots of naps. Oh I remember when they didn’t want to nap. Hmm, that might be an idea for a “season” page. Beautiful Pyrex! I have one small mixing bowl in that pattern, and I’ve never seen another piece in person. Great find!